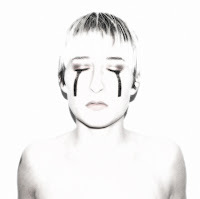 Norwegian Rikslyd is a solo project by Diis. The artist is based in Paris.The self invented genre "Champagne Electro" explains the sound universe of minimal pop tracks, awkward sexiness, electro cuteness and clever lyrics. The fashion world has shown appreciation for the style; brands like Stella McCartney, Quentin Veron, Minna Palmqvist and Caroline Daily to mention some. DJ'ing under the name Diis Paradiis, she lives to share the love of her life, music.